Do You Buy Things and Never Use Them? The following is a guest post written by FMF of Free Money Finance, a blog devoted to helping readers grow their net worth. FMF posts daily on a wide range of money issues including saving money, making money, and making the most of your investments. Every summer, my wife and I set a main task to clean the house from top to bottom. While cleaning two years ago, I stumbled upon a disturbing development — we had several items that we had purchased a year or more earlier and had not yet used. Many were still in their original packaging. Why did I purchase these things? And is there a way to identify things that you’ll never use so you don’t buy them in the first place? Fire extinguisher — Thank God it’s not been used, but it wasn’t even out of the original box either — and it was hidden on a closet shelf. Clothing — Several pieces including a golf shirt I found on the bargain rack that I just “had” to have. Books — Don’t get me started here. I’m a recovering buy-a-book-but-don’t-read-it-aholic. Cycling pants — One pair was used, but I didn’t like them, so the other two were unworn. Portable fan — I got it after a few hot waits on airplanes. Soon after, I stopped traveling as much and when I did I didn’t want to carry extra weight. Humidifier — Got this because the old one was “broken.” I must have been mistaken because the old one was used at least another year. Wire cutter — I meant to use it, but then found another one I already had that did a better job. Didn’t get around to returning the new one. And this was just my stuff. Who knows what my wife found? I was afraid to ask. I mistakenly thought I needed it. I wanted it but really didn’t need it. It was a good deal I couldn’t pass up. After considering these causes of my over-spending, I pledged not to make the same mistakes the next year. I’d like to report that I was completely successful at this attempt, but I wasn’t. However, the next year I did find significantly fewer items that I had purchased but never used. And I’m hopeful that this year I won’t find any new non-used items. So let me end with two tips and a question. Tip #1: The easiest thing to do is ignore this. And that works for a few years. But if you’re wondering why you can’t seem to save enough, or invest enough, or even have enough to go on vacation…maybe this is one place to start. And by cutting down on the unwanted things you have now, you’ll set a precedent for not buying things later (because you know you’ll have to sort through them once a year). Tip #2: To identify items you might own but have never used, I suggest you go to the main places in your home where “stuff” accumulates (in ours it’s the bookshelves, closets, and pantry) and do both a spring and fall cleaning of these areas. Not only will you probably identify some new/unused items that you never knew you had, but you’ll probably rediscover several items you’ve misplaced. Clear out items by either tossing them, storing them in an appropriate place, or donating them to charity. After the first few clean-ups, the task will be much easier and you’ll feel better knowing your life is less cluttered. Tip #3: If you’re a chronic buyer of items you never use, ask yourself if you need an item before you purchase it. Be sure you do before every purchase. And even then, place the receipt in a folder that you review every month or so. If a couple months go by and you haven’t used an item, pull out the receipt and return the item for a full refund. The question: Am I the only crazy person that does this or are there others out there who also mysteriously buy items that they don’t ever use? No, you’re not the only crazy one. My wife and I do this as well. One situation that contributes to this phenomenon for us is that we’ll be out doing errands, find an item that we actually want/need, but discover that it comes in different sizes (for example) and we’re not sure exactly what size to get. To avoid “having to return to the store and buy the correct item, just in case the one we buy is the wrong size,” we buy a few different sizes, intending to return the wrong ones after we get home and determine which one is the correct size. Ugh. Drives us nuts, yet we still do it. Sometimes when we clean out our house and discover something that we bought and never used, it’s from a store that we shop at regularly. If the store still carries that item, we can often return it without a receipt and get store credit. Just last month I returned a closet door that we bought from Home Depot 4 YEARS ago and never used. They accepted it as a return without any problem, and I had some money in my pocket (albeit in the form of Home Depot store credit). Since we often shop there, it’s not a problem. 1) Take all the tools in your kitchen and load them into a box(es). Date the box. 2) When you need a tool, get it from the box. Use it and return it to it’s proper place. 3) 6 months from the date on the box, dispose of the remaining stuff in the box as you see fit. If you don’t need something in 6 months, you probably will never need it. If it turns out you’re looking for it 9 months later, you could either borrow one from a friend, find an alternative tool, or buy a new one. Alton is big on multi-taskers–he hates having tools that do only one thing. I, too find myself buying things and never using them… and I wonder why I’m running out of space in my apartment! I’m a big fan of decluttering but I think I may also be a bit of a pack rat, sometimes it’s really hard to let things go. Thanks for this article, it has reminded me I need to do a big declutter Clean Sweep-style! I’m going to sort everything into piles for saving, selling or donation. I’ve found in the past this is a great way to make some extra cash off of my clothes (I have loads but rarely wear them more than 3 times so they’re great to sell as used items) and it will give me more closet and dresser-space! I’m also going to watch myself more closely when shopping–do I really need that? Can I borrow it from my mom? Great ideas and I hope to see more in the comments! No you are not the only person. I also have many items including gifts at home and very rarely used. Definitely waste of money and space at home. May be once in six months or an year I identify unused items and dispose it off without thinking of the consequences. I have so many clothes I buy and never wear I’m thinking about starting a eBay sale called “things I bought and then never wore.” The worst is the realization that most of the cheaper clothes buy I wear all the time, while the pricier ones spend most of their time in my closet. Why? I don’t know, maybe I want to “save” them for occasions that never happen, but I’m thinking about giving up on fashion alltogether and just wearing jeans, black shirts and hoodies all the time. I have been going through this problem especially with clothes. Now I am moving to a new place for my new job and I had to pack up all my clothes and found that I had 2-3 pants that I bought atleast 8-9 months ago from Kohls and never used them. Luckily I had the receipt and returned those clothes for a refund. As another user had pointed out, I kept using the cheaper clothes while storing the costlier ones for special occassions which never came up that often. I have decided not to buy clothes anymore unless I need them. Most of us would go to the malls along with friends for window shopping and end up buying becos of good deals only to never use them. This kind of impulsive spending has to definitely be stopped and put under control. I’m pretty disciplined, but books and obscure European bath products beckon with their siren songs, and I buckle like a weak-kneed junkie. I’m sure I have $80 worth of shea butter in my bathroom alone. I started buying the books used on Amazon to reduce some of the damage. The little Florentine soaps present a more stubborn problem. If you’re going to indulge, for the love of God, don’t waste it on wire cutters. I was horrified when I moved – at the number of items I kept for nostalgia’s sake (including some Cabbage Patch Kids, Barbies, and some very ratty looking stuffed toys)! Guess I was one of the crazy ones. Since the new home was half the size of the old one, I couldn’t care for nostalgia anymore. Out to the garbage these things go. Of course you’re not the only one. I’ve bought a lot of books I never read, or read partially. Now they’re in paper bags, which means they’re supposed to be donated. For a few months, they’ve been sitting in my apartment waiting to be donated! I should just take them to the laundry room, so people can take them if they like. I have a bunch of things that fall in the “It was a good deal I couldn’t pass up” category. Going to the dollar store isn’t really a good idea. I bought a potato masher for a dollar (along with other kitchen stuff for a dollar each), which I fear will never be used. 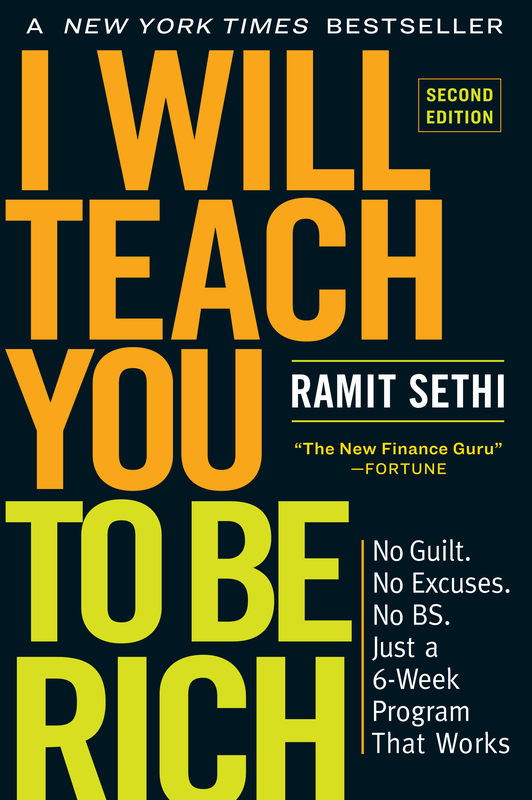 Thank you Ramit – your blog is splendid. I play a game with myself and see how many days I can go without opening my wallet. It’s suprising how long a $20 bil will last. I have sat on a bench in our local super store and watched people with their carts. Full of people food, baby food, pet food and bathroom tissue, nappies and cat litter. How specialized and over-packaged these products have become. The cycles of consumption and disposal is fascinating, on so many levels. Also, I believe I have figured out why humans shop so frantically. We don’t hunt and gather anymore. So shopping satisfies that ancestral, genetic urge. Speak for yourself Angela, I’m still eating deer meat from my hunting trip in November and haven’t bought any beef to cook since. But seriously, people don’t need all this stuff. I go through a similar exercise every time I move house and it never ceases to amaze me how much stuff I have that I have never used. For me it falls into 3 categories… clothes that I liked in store then changed my mind, bargains that just seem too good to be true (even though I don’t actually need the item) and the one that upsets me the most gifts that I never wanted. These gifts normally end up in the spare room for over a year before I finally give up and take them to the charity shop. I have far too many clothing items in my closet with the tags still on them. More recently, I purchased a skirt and the zipper broke the minute I put it on. I should have taken it back to the store weeks ago to get a new one, but still there it sits. I also buy a lot of books and don’t read them. It’s a terrible habit. I always find the useless junk that I bought and never used when I move. I’m going to be moving in June so I’m sure there will be even more stuff that I never use that I find. What makes it worse is now I have to move it to my new place. Which I’m sure will just get thrown in a closet and forgotten about. I should use this opportunity to clean house, but I probably won’t because I’ll be packing at the last second. Shoes! I have shoes that I have purchased that I have never worn that are well over 2 years old! At the time I had just had to have them and I do believe there will be an occasion to wear them…….someday. A fire extinguisher isn’t useless clutter; it’s an insurance policy. Make sure you know how to use it, make sure it’s still useable (most have expiration dates) and keep it in a place where it’s handy in case of kitchen or other household fires. You’ll likely never need it, but if you ever do, your uncluttering instinct could be fatal if it leads you to throw away a tool that is designed to save your life in an emergency. “Everything you owns owns a pieces of you.” I’ve recently been decluttering as I really do not want to move a bunch a junk to my next residence that I won’t be using. I have had issues with clothes. Funny, I too have found I sometimes wear cheaper articles of clothing over the more expensive ones (Cheap Bias). Example of this would be two jeans of the same brand, same style, different wash, I purchased at the same time; one was $19 and the other $70. I wear the 19 ones all the time!!! I also have dealt with book clutter. Most of it is technical books I have used for school or work. These books usually have lost a good portion of their value so I usually just end up giving them away. I also have a electronic music production gear obsession and have been ebaying off a lot of this stuff. I have found it’s easier to aquire than it is to get rid of stuff. I have a rule now that if I can’t get $20 for it on ebay/half/whatever I’ll either give it way or throw it out. This rule has been fairly effective. Also, there are redundant items… why do I own 2 ipod minis? Wow – I can so relate to the posts on here. I just moved and I had sooo much stuff that I got rid of – while I was moving, I had garage sales and would sell the stuff super cheap. But, man…why did I buy all this stuff? I think about things a lot before I buy something now. A lot! I think about whether I want to move it, whether I have something like this at home, do I need it, etc. It really helps.